You work hard to keep your body in great shape. So, when you experience an injury or are involved in an accident, it’s important that you get back onto the field or back to your daily routine in no time. Luckily, Trinity Rehab comes equipped with state-of-the-art healing technologies and recovery devices, like the AlterG® Anti-Gravity Treadmill®. Thanks to this cutting-edge machine, you’ll refamiliarize your muscles, ligaments, tendons, and other parts of your body with weight-bearing and high-intensity physical activity. To discover more about how this incredible therapy can help patients throughout New Jersey down the path to recovery, let’s dive into the information on this page. When you’ve got an upcoming game or just want to get back to the gym as soon as possible, you don’t want lack of mobility or a recent injury to hold you back. However, when you opt for the exclusive technology of the Alter-G Anti-Gravity Treadmill, you’ll get your body back into shape with precise therapy. This remarkable treatment utilizes a unique, differential air pressure to gradually reacquaint your body with exercise, all while maintaining normal gait patterns. That way, you can prepare for that half-marathon or start recovering from a muscle strain while working up a sweat. What Conditions Does AlterG® Treat? Recovering from a sports injury, a torn ligament, or anything else requires lots of patience and hard work. And with the help of technologies like the AlterG® Anti-Gravity Treadmill®, you’ll ease your body back into a regular fitness routine under the supervision of a licensed physical therapist. 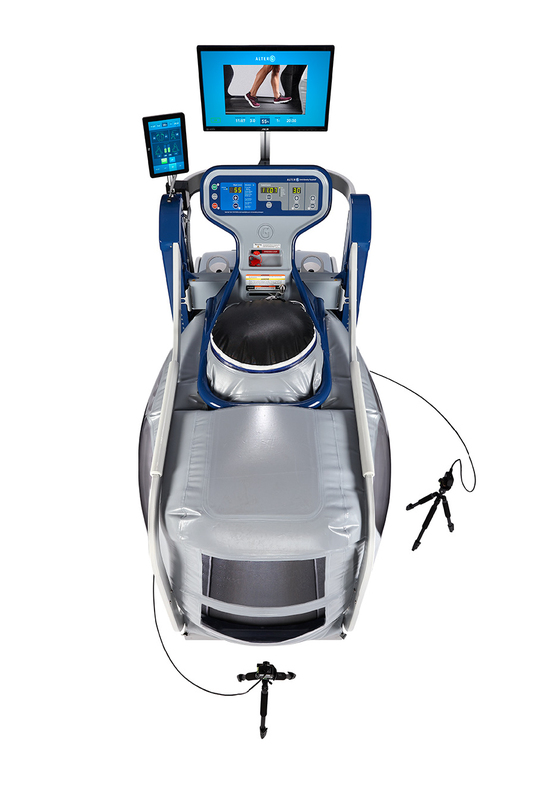 *Looking for Alter-G® therapy near you? 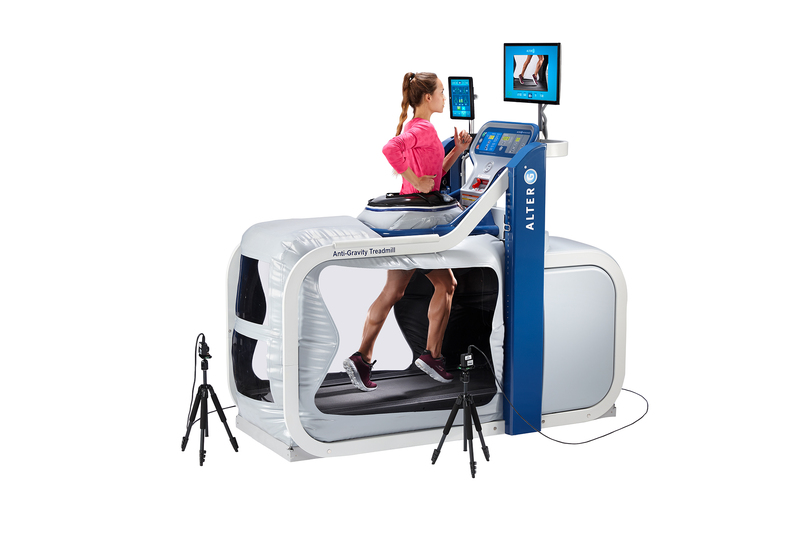 Trinity Rehab offers up this unweighted treadmill at every one of our locations. That way, you don’t have to opt for a facility that isn’t equipped with the treatments you need most. 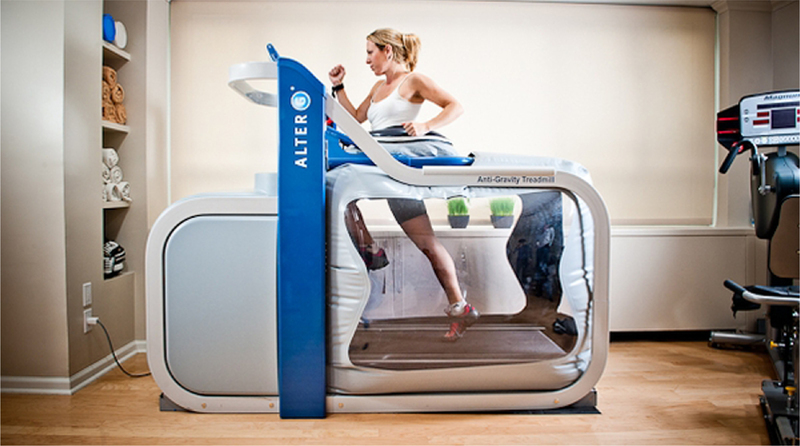 Soaring through your marathon training routine just got a lot easier thanks to the Alter-G® Anti-Gravity Treadmill. That’s because this machine’s pressurized chamber works against gravity and allows you to perform your fitness session with a body weight as low as 10%. So, if you happen to be suffering from chronic pain or a stubborn injury, you’ll be able to move at your typical pace and with a normal gait. To begin your Alter-G® session, slip on some neoprene shorts, and the therapist will help you get zipped into the treadmill. Once you’ve stepped inside, simply zipper the shorts to the plastic casing. That way, the anti-gravity chamber will be sealed for proper functioning. From there, the machine will calibrate your weight and your therapist will design a program to get you from 10% weight to 100% weight. Why Should I Choose AlterG®? Instead of completing your physical therapy program only to find that you aren’t quite healed up, get your body ready with the Alter-G® Anti-Gravity Treadmill. With the innovative technologies included in this state-of-the-art machine, you’ll prepare your physique for your next game or trip to the gym. Plus, you’ll easily maintain the body of a warrior so that you dominate every mile of your next competitive race without worrying about getting an injury or feeling nagging pains afterward. At Trinity Rehab, we’re committed to keeping the industry’s most advanced technologies well within the reach of physical therapy patients throughout New Jersey. That’s why we’ve equipped our facilities with the AlterG® Anti-Gravity Treadmill® so that you can get back on the field or track in no time. To access this exclusive form of therapy, all you have to do is request a free consultation, contact us, or give us a call today!